Aliyah Moulden sings ‘Love Is Like A Heat Wave’ on The Voice Season 12 Top 12 Live Shows, Monday, April 24, 2017. “You come out and command the stage. You have such poise of a professional. You are so kind and encouraging. You rocked the stage,” said Shanai. “You blow me away. Every time you take the stage you step to a becoming areal artist,” said Blake. 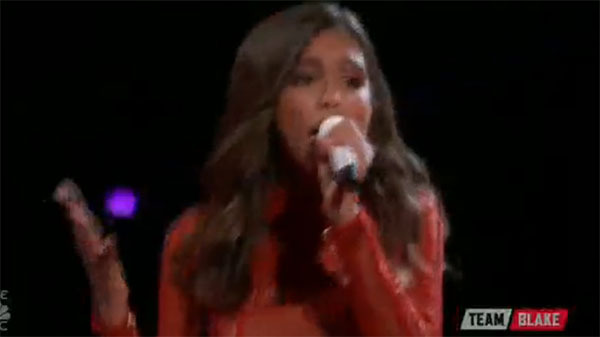 Did you like Aliyah Moulden’s performance? Share your thoughts on the comment section down below.